We promised you plenty of New Series guests this year, and we did not aim to disappoint. 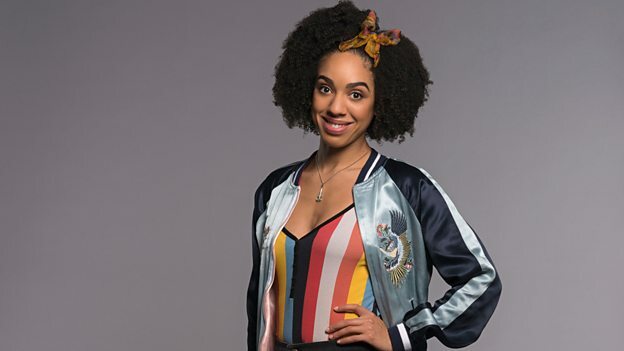 We are welcoming the most recent companion to the Twelfth Doctor, Pearl Mackie, to this year’s Chicago TARDIS. As with past guests, we will be offering a special Meet and Greet and other targeted programming that will go alongside Pearl’s appearance at our convention. Autograph and photograph tickets for sessions with Pearl will be on sale later in the summer. Pearl will appear on Saturday and Sunday of our convention. We still have some Reserved and Priority tickets available for our convention. These will ensure seating in our Main Stage area and guarantee you premium purchasing times for all autograph and photograph tickets. You can purchase these here.